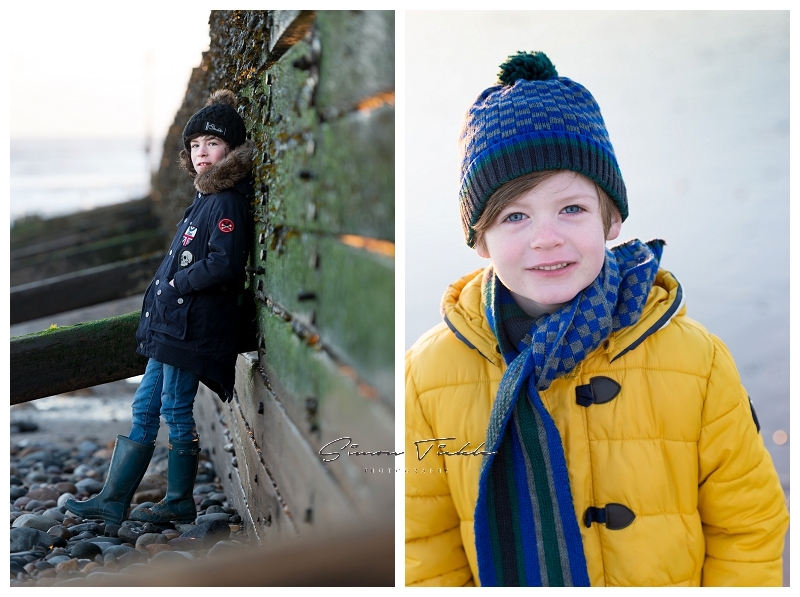 Back in the summer whilst I was away on holiday I decided to shoot a child portrait session on the beach (you can read about that here). At that time of year, beaches and the seaside are how I have always remembered them to be. Crowded places with the distinct noise of seagulls and plenty of sunburned people wandering around eating icecream. 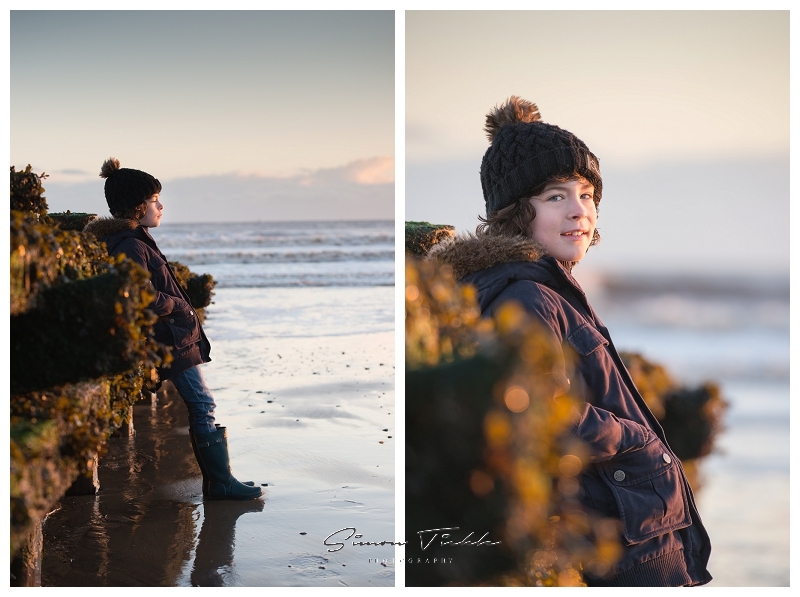 However, as we headed towards winter I began to wonder what a bleak beach shoot may look like. 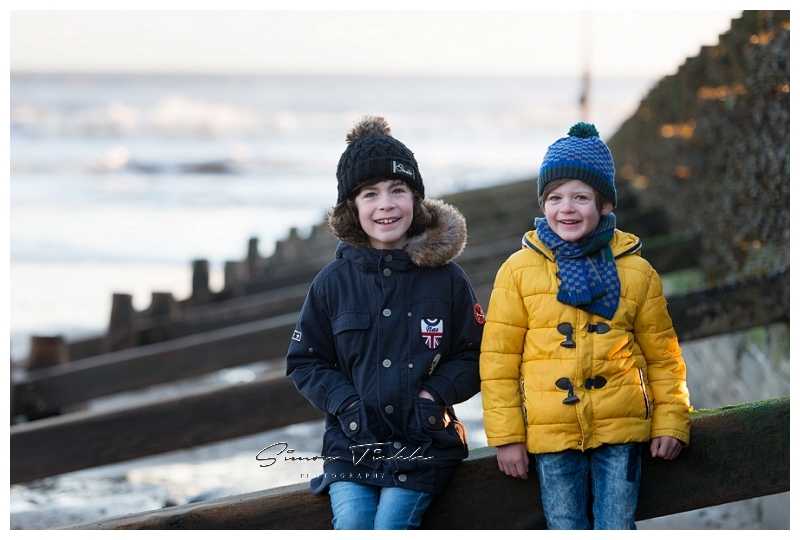 I headed across to Hornsea with these fab brothers to find out. We arranged to meet at 8am, in the hope that we would catch the sunrise. I’m not going to lie, the coast at 8am in December is freezing! Any standing water had frozen and the ground was slippy but we carefully braved the path down to the water and found a shaded area to shoot. 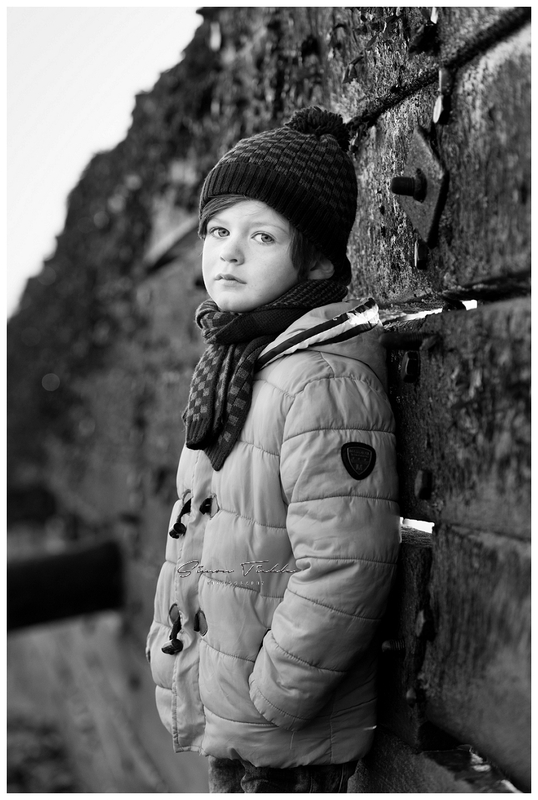 The kids were fab and even though it was incredibly cold, they soldiered on like true professionals. After a short while, we headed back to the cars to warm up for a bit (thank god for heaters!) and then headed out again – this time to photograph along the promenade. I’m really pleased with these images. They portray exactly how I imagined a seaside resort would be during the bleak winter months and are in beautiful contrast to the images I photographed back in the summer. Thanks kids – hopefully it will be a bit warmer next time though!